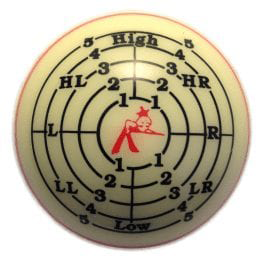 The simple-to-use Ghostball Aim Trainer uses visual reinforcement to teach you how & where to aim, and how to leave the cue ball in position for your next shot. You’ll see immediate improvement on cut shots, cue ball control, position play and more right away – GUARANTEED! This Trainer is a precision-made, top quality tool that really works! Come with an easy to understand instructional booklet. Fits in your cue case. Players at any level will benefit by using the Trainer. 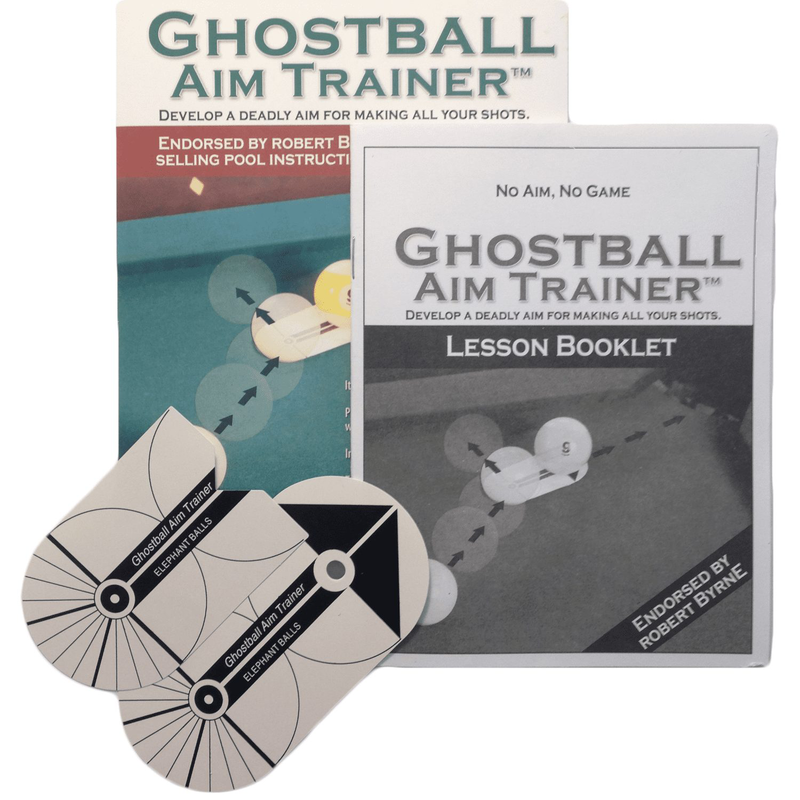 For beginners through advanced level players, the Ghostball Aim Trainer teaches and refines aiming ability. Make any cue shot! For intermediates, learn about and experiment with the “throw” effect. Learn “cheat” shots and how to allow for a throw on all of your cue shots. Includes: Ghostball Aim Trainer and complete lesson booklet.